In the month of Rajab, 60 A.H., Mu'awiyah died. He had ruled the Muslim countries for twenty years. He killed many companions of our Master Muhammad [s]. Hajar bin Ady al-Kindy, Amr bin al-Hamq al-Khazay and Rasheed al-Hajry were of them. He poisoned Imam Hasan (the Prophet's grandson), Malik al-Ashtar, Saad bin Abu Waqas and others. In spite of the Muslim's dissatisfaction, Mu'awiyah appointed his son Yazeed caliph. So, the Caliphate became a kingdom. The Muslims were angry with Yazeed, for he was a corrupt young man. Besides, he drank alcohol and amused himself with monkeys and dogs. The Muslims in Kufa hoped that Imam Husayn would be the Caliph, for he was our Master Muhammad's grandson. Moreover, he was a good, God-fearing and believing man. And he treated the poor kindly. So the Muslims sent Imam Husayn hundreds of letters. In their letters, they asked him to save them from persecution. Imam Husayn [a] was in al-Madina al-Munawwara. He did not pay homage to Yazeed, for the latter behaved badly. In the meantime, he sent his cousin Muslim bin Aqeel as his envoy to Kufa. Imam Husayn asked his cousin to stay with the most loyal person in Kufa. The people of Kufa were waiting for Imam Husayn's coming. They were tired of the Umayyad's persecution. Meanwhile, they longed for Imam Husayn's justice. Muslim bin Aqeel arrived in Kufa and stayed with Mukhtar . The people of Kufa heard about his arrival. The people crowded around Mukhtar 's house to see Imam Husayn's envoy. They wanted to pay homage to establish Allah's government. Hany and Saeed brought me your letters. They were your last two messengers. I have understood all that you have written. The majority of your letters have showed that there is no Imam other than me. Come. May Allah bring us together with you to follow guidance and truthfulness. So, I have sent you my cousin Muslim bin Aqeel. I have ordered him to write me about your attitude. If he writes me that your good people are all in agreement, I'll come, Allah willing. By my life! The Imam must conform to the Book and Justice. The Muslims were full of hope when they heard Imam Husayn's message. Mukhtar paid homage to al-Husayn's envoy. He promised to establish the Muslim government. He also promised to revolt against the unjust. Besides he promised to support the persecuted. Mukhtar was the first to pay homage to al-Husayn. Then thousands of people paid homage. Their number was eighteen thousand people. Mukhtar bin Abu Ubaid bin Masoud al-Thaqafy was born in Taif City, 1 A.H.
Mukhtar 's father loyally believed in Islam. He led the Muslim army to conquer Persia. An elephant killed him at the Battle of al-Jisr. So, his son Jubair led the Muslim army. He became a martyr, too. Mukhtar 's house became headquarters. The Muslims went to it every day. The spies told Yazeed bin Mu'awiyah about Mukhtar . They also told him about al-Numan bin Basheer al-Ansary's the ruler of Kufa's mildness with him. Yazeed bin Mu'awiyah asked the advice of Sergon. Sergon was a spiteful Christian man. Sergon advised Yazeed bin Mu'awiyah to appoint Ubaidullah bin Ziyad, the ruler of Basrah, ruler over Kufa. Ubaidullah bin Ziyad arrived in Kufa. He ordered his guards to arrest Muslim bin Aqeel. Muslim bin Aqeel disappeared in a house in Kufa. Ubaidullah bin Ziyad's guards could arrest Mukhtar . They sent him to al-Tamura. Al-Tamura was a fearful prison underground. Ubaidullah bin Ziyad filled the prisons with innocent people. Meanwhile he sent spies all over Kufa to look for Muslim bin Aqeel. Muslim bin Aqeel was forced to announce a revolution. Many people supported him. Muslim bin Aqeel's forces besieged the Prince's palace for several days. Ubaidullah bin Ziyad was wicked. He spread a rumour that an enormous army from Damascus was coming. It would destroy Kufa and kill its people. The people believed Ubaidullah bin Ziyad's rumour. They left al-Husayn's envoy alone. Muslim bin Aqeel was forced to disappear again. The spies found Muslim bin Aqeel in a house that belonged to a good old woman called Taua. Ubaidullah bin Ziyad sent the police to arrest Muslim bin Aqeel. When the police asked him to surrender, he refused and began fighting alone. Muslim bin Aqeel was badly wounded. The police promised to treat him kindly. So, he handed over his sword. The police arrested him and took him to the prince's palace. Ubaidullah bin Ziyad was full of spite. He hated the Ahlul Bayt and their supporters. So, he ordered his guard to kill Muslim bin Aqeel. Besides he ordered them to kill one of his companions. The companion's name was Hani bin Urwa. He was a leader in Kufa. Ubaidullah bin Ziyad ordered his guards to throw Muslim bin Aqeel and his companion down the palace. Ubaidullah bin Ziyad began killing and imprisoning the people in Kufa for any accusation. So, the people there were afraid. Imam Husayn left al-Madina al-Munawwara. He went to Makkah to perform the Haj. Yazeed bin Mu'awiyah knew about al-Husayn's travel. He sent some spies to kill him. I don't want them to violate the Holiness of the Ka'aba. Imam Husayn headed for Kufa. On the way, he heard that Ubaidullah bin Ziyad's guards killed Muslim bin Aqeel, Hani, Qais bin Mudhir al-Saidawy and others. A thousand horsemen surprised Imam Husayn's caravan. They prevented it from advancing towards Karbala. Then the military battalions came successively. Their number was four thousand fighters. Seventy persons came with Imam Husayn. They were his family and his supporters. Abasement is far away from us! Imam Husayn was ready to die a martyr for Islam. On the morning of Muharram 10th, the Battle of Karbala took place. Thousands of fighters launched a savage attack against Imam Husayn and his companions. They faced the attack bravely. Strong fights took place. They astonished the enemies. Only seventy fighters were fighting from the early hours of the morning till afternoon. All of Imam Husayn's companions passed away. Imam Husayn was alone. Still he attacked Ubaidullah bin Ziyad's Army. He was fighting bravely. Ubaidullah bin Ziyad's Army killed Imam Husayn. It beheaded the martyrs, tied their heads to the spears and burnt the tents. Then it took the women and children prisoners. Shimr beheaded al-Husayn and gave his head to Ubaidullah bin Ziyad. The people saw Imam Husayn's head. They felt pain because they did not support him. Ubaidullah bin Ziyad ordered some guards to bring Mukhtar . Then he thought about a revolution to punish the criminals. Maytham al-Tammar was a good man. He was one of Imam Ali's companions. From the Imam's knowledge, he learnt a lot. Ubaidullah bin Ziyad, the unjust man, has killed the grandson of Allah's Apostle. Now he will kill us! They will tie you to a date palm trunk. Then they will kill you. They will release Mukhtar from prison. He will kill the unjust tyrant. He will kick his face with his leg. Safyyah was Mukhtar 's sister. She was the wife of Abdullah bin Umar bin al-Khattab. Abdullah bin Umar bin al-Khattab had good relations with Yazeed bin Mu'awiyah. So, he asked him to release Mukhtar . Ubaidullah bin Ziyad decided to kill Mukhtar . But Yazeed bin Mu'awiyah sent a man quickly to him. He ordered him to release Mukhtar . You must leave Kufa within three days. If you don't leave, I'll kill you. So, Mukhtar headed for Makkah. Abdullah bin al-Zubair appointed himself caliph. The people paid him homage. Some people liked him. Some disliked the Umayyads. Mukhtar knew that Abdullah bin al-Zubair was ambitious. Anyhow, he paid him homage because he hated the Umayyads. Yazeed bin Mu'awiyah had killed Imam Husayn and captured his family. So, the people of al-Madina al-Munawwara, the majority of the Prophet's companions were with them, revolted against him. Muslim bin Akkaba, whom the people called Mujrim bin Akkaba, headed the Shamian Army. He attacked al-Madina al-Munawwara and the Prophet's Holy Shrine. He committed massacre. The number of the killed was more than fifteen thousand people. He violated the women. Then he put them in markets for sale. After that massacre, Yazeed's Army headed for Makkah to occupy it. Mujrim bin Akkaba headed the Shamian Army. On the way to Makkah, a scorpion stung him. He died. So, al Husayn bin Numair, who took part in the Karbala massacre, headed the army. The Shamian Army besieged Holy Makkah. The soldiers occupied the nearby hills and mountains. The soldiers placed their Majaneeq (machines used in ancient times for throwing fire in war). Leader, they are meeting in the Ka'aba! Throw fire at the Ka'aba! The soldiers did. The fire dropped on the houses and the mosques. The walls of the Ka'aba caught fire. After the heavy fires, al-Husayn bin Numair ordered the horsemen to break into Makkah. He also ordered them to kill the passers-by. The infantry, heavily armed, followed the horsemen. They advanced towards Makkah. Violent fights took place in the Ka'aba. Mukhtar was bravely defending Allah's House against the invaders. He forced them to retreat. A horseman came from Damascus while the violent fights were going on. Caliph Yazeed bin Mu'awiyah has died! Al-Husayn bin Numair was surprised to hear the news. He asked the horseman to keep silent. But the news quickly spread among the Shamian soldiers, who were tired of the siege. They were displeased with attacking the Ka'aba, Allah's House, because they turned their faces towards it when they said their prayers. Al-Husain bin Numair withdrew his forces. He headed for Damascus. So, the siege was over. After four years' stay in Madina, Mukhtar decided to come back to Kufa. After Yazeed's death, Ubaidullah bin Ziyad escaped to Damascus. The people of Kufa took advantage of the situation and supported Abdullah bin Zubair. Abdullah bin Zubair appointed Abdullah bin Mutea, ruler over Kufa. Some rulers who took part in the Karbala massacre supported the new ruler. Your highness, the Prince, Mukhtar is more dangerous than Sulaiman. Sulaiman went out to Kufa to fight the Shamian people, but Mukhtar wants to get revenge on Imam Husayn's killers. I think you have to imprison him. The Prince accepted their ideas. Thus, he imprisoned Mukhtar. Sulaiman bin Sird was a good companion. He and the Kufians felt pain because they did not support Imam Husayn at the Battle of Karbala. For this reason, he asked them to turn to Allah in repentance. Four thousand Muslims followed him. He formed an army. He announced his revolution against the Umayyads, who killed Imam Husayn and captured his family. Although the soldiers were few in number, they were very eager to start the fight. First, they visited Imam Husayn's tomb and wept very much. Then they headed for Shaam. 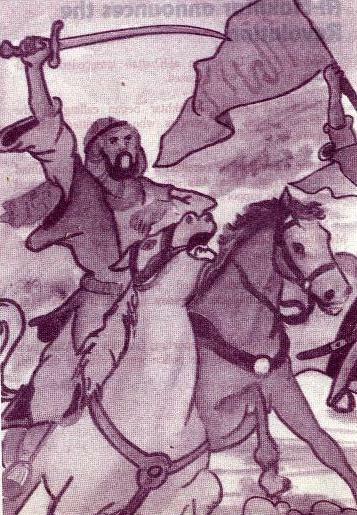 Ubaidullah bin Ziyad formed an army of eight thousand soldiers. The two armies met at Ain al-Warda on the borders between Iraq and Sham. Sulaiman bin Sird passed away during the fights. 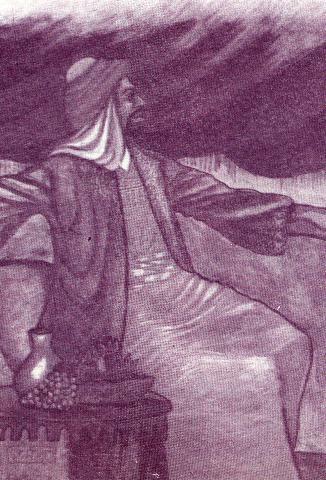 Ryfaah bin Shaddad headed the army after Sulaiman bin Sird. Then he decided to withdraw the army to Kufa. Allah has made your reward greater. He has just decreased your sins for fighting the unjust. If you give money or walk, Allah will reward you. We are ready to break into the prison to release you! Mukhtar ordered them not to do that. 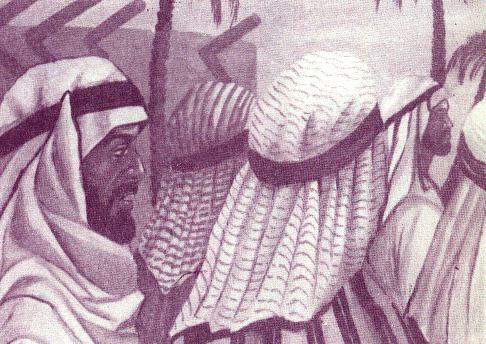 Abdullah bin Umar bin al Khattab interceded for Mukhtar again. He was released. Having left prison, Mukhtar began calling up the people to punish the persons who committed the Karbala massacre. In the meantime, he received a letter from Muhammad bin al-Hanafiyah, Imam Ali's son. In his letter Muhammad announced his support to Mukhtar . Muhammad's attitude encouraged people to stand by Mukhtar. Ibraheem al-Ashtar, a brave senior army leader, joined Mukhtar . The revolutionaries fixed time to announce the revolution. The time was Thursday night, Rabi al-Awwal 14th, 66 A.H. The spies were reporting about Mukhtar's movements. Meanwhile, the police were roaming through the streets of Kufa. Who are those with you? Have you permission to go out at night? Ibraheem al-Ashtar was forced to attack the Commander. He killed him. The rest of the patrol ran away. You must announce the revolution at once! I have killed the Commander of the patrol. It's important to announce the revolution at once. May Allah make you happy! This is the beginning of the conquest! Mukhtar ordered his followers to make fires. The fires were a sign of the revolution. At midnight, the Kufians woke. They heard the revolutionaries repeating slogans. The revolutionaries went to Mukhtar 's house. Street clashes took place in Kufa. The Ruler's soldiers and the police surrendered. Then the Ruler himself escaped to al-Hejaz. After the Battle of Ain al-Warda, the Umayyad Army went on advancing towards Kufa. It occupied Mousal City. Then it headed for Kufa. Mukhtar formed an army of three thousand fighters. Yazeed bin Anas, a brave, good, old man headed the army. Reaching Mousal suburbs, Mukhtar Army met the Umayyads' one at two battles. They won the two battles. Then Yazeed bin Anas died. His death affected his soldiers spirits. They were afraid of the Umayyads' big Army. Thus, they decided to come back to Kufa. And if you count Allah's favours, you will not be able to number them. So, Mukhtar fasted for most days of the year. Ibraheem al-Ashtar's Army reached al-Khazar River. There he met Ubaidullah bin Ziyad's Army. Violent fights took place between the two sides. The Kufian Army fought bravely. Some commandos made a brave attack against the Umayyad's headquarters. They killed senior leaders such as Ubaidullah bin Ziyad and al-Husayn bin Numair. Anyhow, Ibraheem al-Ashtar's Army could defeat Ubaidullah bin Ziyad's. How often has a small party vanquished a numerous host by Allah's permission. 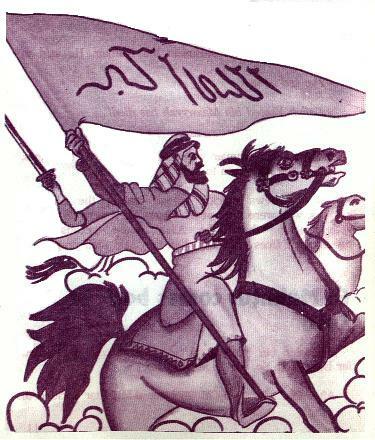 Ibraheem al-Ashtar's small army defeated Ubaidullah bin Ziyad's big one. Mukhtar made peace with Abdullah bin al-Zubair to unite efforts against the Umayyads, the enemy of Islam. Still Abdullah bin al-Zubair was ambitious. He was afraid of Mukhtar 's increasing power and popular base, for he could end the persons who committed the Karbala massacre. Yazeed bin Mu'awiyah died. His son Mu'awiyah succeeded him. Mu'awiyah bin Yazeed bin Mu'awiyah was a believing young man. He admitted that his father was bad. Therefore, he resigned from the Caliphate. Marwan bin al-Hakam was ambitious. He took advantage of the situation. So, he became the ruler. He ruled for six months. He died. Then his son Abid al-Malik succeeded him. Abid al-Malik bin Marwan sent a big army to occupy al-Madina al-Munawwara. Mukhtar heard about the army. He formed an army of three thousand fighters to save the Prophet's City. Apparently, Bin al-Zubair sent an army of two thousand fighters to defend Madina against Abid al-Malik's Army. Abdullah bin al-Zubair's real aim was to attack Mukhtar 's army. Mukhtar 's soldiers were busy fighting. Bin al-Zubair's army took advantage of the situation. It attacked Mukhtar 's soldiers. It killed some soldiers. The rest escaped to the desert. They died of hunger and thirst. Bin Zubair disliked the Alawids. He brought them together near a mountain outside Makkah. He prevented them from leaving that place. Besides he demolished their houses. Mukhtar sent five thousand fighters to raise the siege. He released the Alawids and rebuilt their houses. Mus'ab formed a big army and headed for Kufa. He took Mukhtar by surprise. Ibraheem al-Ashtar was in Mousal City. Mukhtar faced Bin al-Zubair with his small army. The two sides won victories during the first fights. Bin al-Zubair's army launched a strong attack. It forced Mukhtar 's army to come back to Kufa. Mus'ab's army followed Mukhtar to Kufa. It besieged his palace. The siege went on for four months. Mukhtar tried to raise the siege. He ordered the Kufians to make street clashes. But they disobeyed him. The siege will weaken us more and more! Let's go out and die martyrs. Only seventeen persons obeyed Mukhtar . They went out to fight the big army that surrounded his palace. Mukhtar was sixty-seven years old. He fought bravely. Then he died a martyr for Islam. Mus'ab cheated the persons who stayed in the palace. He promised not to harm the if they came out. When they opened the gates of the palace, he ordered his soldiers to kill them all. Meanwhile, he executed seven thousand people on one day. It was a horrible massacre. The Kufians had never seen it before.